The spring in September month is nothing more than hide and seek between winter and summer or should I say, rain and sun. It starts from the beginning of September when you go through a full week of rain followed by a sunny week, then next 1-2 weeks with rainy weekdays and sunny weekends. 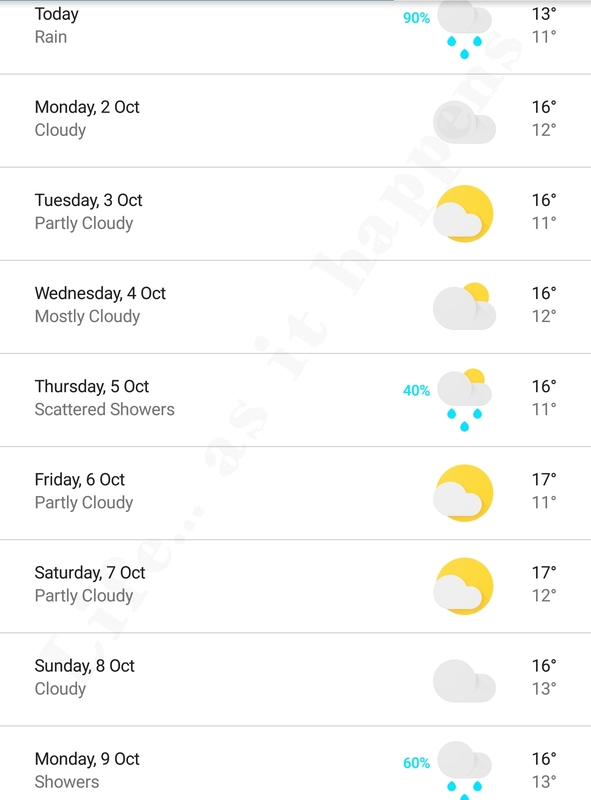 By the time month is about to end, sunny days start increasing with fewer rainy days in every week and finally, October starts with weeks filled with equal proportion of sunny, cloudy and rainy days in every week indicating that summer is just around the corner.